Week THREE of our Rural Regeneration series is fast approaching! And I have loved every minute of it. I guess you could say this series came about half accidentally half deliberately when I began sourcing information for our SmartVillages initiative. This initiative promotes Rural Regeneration and I came across both uplifting and inspiring stories about smaller local businesses on their journey to success. Business’ who are determined not to let their location limit their potential. I really do admire individuals who have decided not to let geographic flexibility determine where they work. It is wonderful to see so many communities around Ireland, some of which are affected by a lack of broadband, pool together to push their local communities and economies to reach their full potential. Since the beginning of this series, we have featured a Leitrim Company winning a Great Place to Work award, a SmartWorking designer on her quest to go global with her luxury kids wear brand from Laois, to exploring the Wild Atlantic Way and Enterprise Ireland’s trade mission to China. We cannot deny that working remotely in rural areas can have its challenges. But without these business’ and entrepreneurs showing uncontested determination, rural areas would not be able to regenerate. This week, I came across a thought- provoking video which featured the Burren Enterprise Centre in Co. Galway. Any of you who have been to Galway will agree that it is one of the most beautiful counties in Ireland, bursting with character and culture. A survey carried out by the group in 2015 revealed a considerable demand for affordable office space in the area, something which is in scare supply locally. 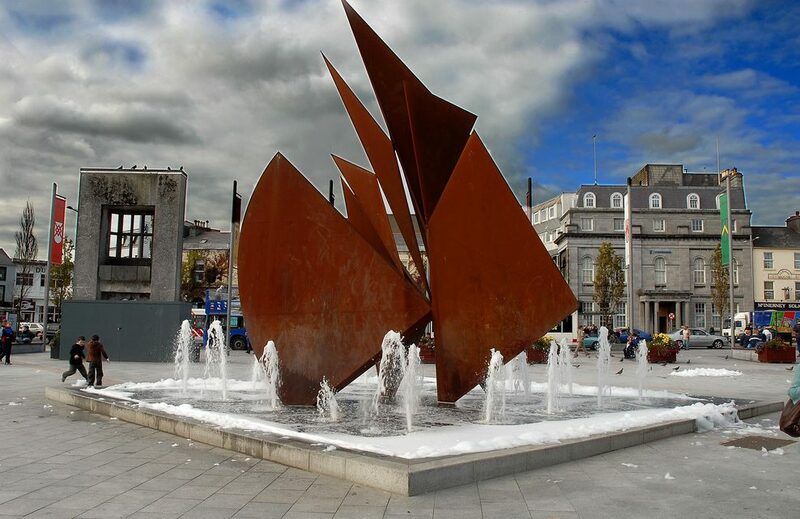 Companies were having to consider re-locating to Galway city to find low-cost, flexible office facilities. It became evident that small companies outside Galway city were finding it challenging to find opportunities to network with potential clients and colleagues as well as a lack of shared information and inability to further develop business skills. “We provide hot desks, co working facilites, training and networking opportunities serving the needs of the business community in the area”. “It is a friendly, welcoming work space where you can have a chat with people but also get down to work and get focused. It’s easy to be productive here. The location is fantastic, it’s much nicer than having to go all the way into Galway city. The amount of time I would waste each day makes this a much better option”. By availing of rural co-working spaces such as the Burren Enterprise Centre, you are supporting rural areas regenerate whilst also ensuring that you maintain geographic flexibility. Not every individual wants to relocate to a big city. Would you like to be a SmartWorker in the West of Ireland? Whether you are a young career professional, a parent returining to work or simply wanting a change from the rigid 9-5 office job, we can find the perfect solution for you. Sign up today and get matched!